In a tiny black lacquer box, Caroline Lindemann keeps one of her favorite miniature books, a 120-year-old Japanese fortune-telling book called an omikuji. The inch-thick book, printed on the thinnest rice paper, miraculously survived World War II to find its way to a Tokyo book dealer, where Lindemann eventually discovered it. “I can hold it up as tall as I am and let the pages fall to the floor,” she says. Attached at the seams, the pages cascade down in a delicate accordion, more than five feet in length. The omikuji is one of just a few miniature books that Lindemann has kept for herself from her singular collection. The rest, some 11,000 tiny tomes, she donated in 2005 to the Albert and Shirley Small Special Collections Library. As she continues to collect, the number continues to grow; at last count, the McGehee Lindemann Miniature Book Collection had inched up to 13,000. Accumulated over 40 years, the collection spans six centuries and a great number of countries, with volumes in more than 30 languages. The Miniature Book Society defines a miniature book as any book less than three inches on each side. Historically, such tiny books served a purpose. Some were made miniature for portability; some to be tucked into packages as advertisements; some to accommodate the small hands of children. Others were made small because their content was controversial, and they needed to be easily concealed. The primary motive printers have to produce miniature books today is one that has persisted through time: artisanship. The earliest miniature books are thought to be devotionals, handprinted by monks on vellum paper. With the advent of moveable type, printers produced all kinds of books in miniature: almanacs, calendars, thumb bibles and works of literature. These tiny volumes found their way into the hands of some very large figures in history: President Abraham Lincoln carried a miniature prayer book with him when he was a young lawyer; Queen Anne Boleyn carried a gold-bound miniature book of psalms to her execution. 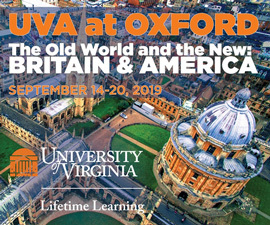 Lindemann gave UVA her collection in memory of her first husband, C. Coleman McGehee (Com ’47). It contains a breathtaking variety of miniature books, currently undergoing cataloguing by a librarian hired specifically to manage the inventory. There are tiny albums of family photographs, leather-bound sets of Shakespeare’s plays, Victorian pop-up books and paper dolls, and shelves and shelves of bibles and prayer books. There are profiles of Civil War generals printed in 1888, intended to be tucked into packs of Duke’s cigarettes. There is one of the first printed copies of the Emancipation Proclamation, printed in miniature for distribution to slaves and Union soldiers. Inside a box done in tartan plaid are several books of Robert Burns’ poetry, arranged around a magnifying glass fit snugly over a tiny portrait of the poet himself. A commemorative book from the 1904 St. Louis World’s Fair contains pictures of all the expositions and pavilions, the first and last of its accordioned pages glued to the twin halves of a walnut shell. 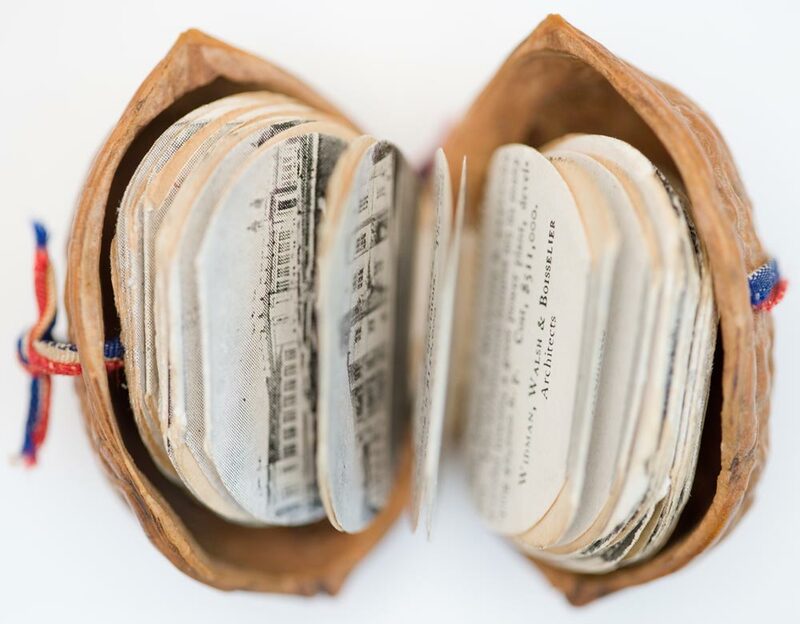 Lindemann’s interest in miniature books dates to her childhood. Her family lived in France for three years, and her parents encouraged her to keep only miniature things because they were easier to carry. But her book collection did not begin in earnest until she befriended a Richmond woman who was a collector herself with connections to miniature book printers all over the world. When the woman died, Lindemann purchased her collection.